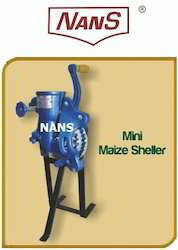 Providing you the best range of maize sheller, mini maize sheller, maize sheller - hand operated, mini corn sheller machine and cone maize sheller with effective & timely delivery. It is widely used for threshing of corn /maize. 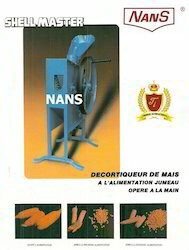 It liberates farmers from the heavy manual work, 10 times more efficiency than manual work without hurting hands. The structure is compact, it is the progress of new technology research of corn maize thresher threshing without core broken,Adopt unique threshing method, clean threshing,Corn cob core overall thrown no need cleaning again, it can be folded, very small and convenient, with stable and reliable performance, easy operation, low power consumption, high efficiency and keep the cob integrity,Particle breaking rate is low, high production efficiency, increase 50-80 kg per acre. Special used for maize threshing. 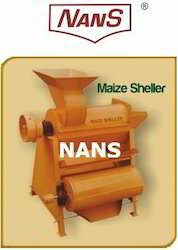 Our Maize Sheller is special used for maize threshing. It features on small size, flexible transportation among working, easy adjustment and usage, high efficiency, high threshing performance, low breakage rate and so on. 1) 62cm(L) x 23cm(W) x 57cm(H) 2) Power: 0.55kw 3) Frequency : 50hz 4) Voltage :220v5) Efficiency: 500-600 kg /hour6) With electric motor or diesel engine. Looking for Maize Shellers - Egreneuses De Maiz ?